How Much Does DSW Pay (Hourly & Salary)? DSW, Inc. is a footwear retailer with more than 500 stores and an booming e-commerce website. The company also owns popular footwear brands such as Audrey Brooke, Kelly & Katie, Lulu Townsend, and Poppie Jones. Recognize them? DSW is known far and wide for their generous and competitive employee benefits packages, great pay rates, and record-setting sales. Those who work at DSW have lots of choices and they are going places! Let’s explore more and learn what careers are available at DSW! DSW prefers job applicants apply through the company website’s career section. The site is smartly set up: you can search for open positions via keywords, zip code or city/location. Perhaps the best part is that you can also search positions according to whether you want to work in DSW stores, at the corporate offices in Columbus, Ohio, at the company’s distribution center, or at ShoeMetro, the online retailer of the company. DSW takes good care of its employees, including those working in the entry level position of DSW sales associates. When hiring, DSW managers look for potential employees who are passionate, friendly, helpful, and who truly value and aim for perfect customer service. A love of good shoes doesn’t hurt, either! As a matter of fact, the DSW website claims if you aren’t a shoe lover to begin with, they’ll make a shoe lover out of you quickly! Associates learn the DSW customer service model, operate front counter and cashier registers, sign up new Rewards program members, and learn about store merchandising and stocking. Sales associates must maintain a 95% attendance record. At DSW, management looks for people skills, cashier or register experience, attention to detail, customer service experience, time management, ability to work flexible schedules, and more in the crew members they hire. Other entry level positions in addition to sales associates include freight team associates, who work in daytime and night-time freight and stocking in various store locations as well as at the company distribution center. Supervisors look for employees who are reliable and able to think on their feet in this fast-paced distribution center environment. Understanding or respect for safety standards is also an important quality. Managers at DSW are in charge of the entire store, and their key objective is to maximize store success and sales. They rely on a team of operations managers and assistant managers to round out their supervisory load. Merchandise planning (and buying) manager. Lots of interview points are given to those who can display strong people skills, analytic skills, organization, and communication skills. Problem-solving is a big part of the manager’s job, and applicants will be asked many questions to outline their ability to think on their feet. DSW looks for managers with previous experience in high volume retail. 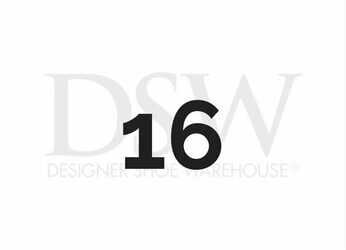 DSW hires seasonal associates in the months of February, March, July, August and September. They also hire seasonal associates for corporate positions based on the needs of the overall business. DSW offers some amazing benefits packages, and not just for full-time employees! perks and discounts like cell phones, merchandise discount, etc. Here are some average pay rates for DSW employees. The rates are averages and contain a range of pays in larger cities, smaller locations and they include raises given for time on the job, etc. So this gives you a general idea of pay but remember that your actual pay in that role could be more and could be less. According to the DSW website, the minimum age to work at DSW is 16 years of age. Most entry level employees of this age start out as a sales associate in a storefront, and can slowly work their way up the ladder within the store. DSW is not public about drug tests and requirements for new and existing employees, but there are reports from previous employees that they were asked to take urine tests prior to their hire. By all accounts, DSW stresses customer service and would not seem to be the type of company that would tolerate drug or alcohol use on the job. If you’ve landed an interview at DSW, we’re thrilled for you! We can help you prepare with these tips and common interview questions. DSW managers are keen to hire young people who know how to manage their time well and who will stay calm, cool and collected in a high volume retail store with lots of customers. DSW store managers and other supervisors know exactly what they are looking for when interviewing potential employees. This is a standard interview question you will likely face wherever you interview. Be prepared for it. Be honest about your desire to work at DSW. If you love shoes, now is the time to say it! Talk about your passions and, if interviewing for a retail or sales position, always mention your knowledge of customer service. Check out the DSW values and company culture on the company website, and talk about it during the interview. Find out something unique about the company and discuss it. This will impress a manager, who will see your obvious interest in the company and their business model. Maybe you are intrigued by DSW’s digital marketing plan, which includes pop-up stores that use 3D printing to make customizable, recyclable shoes for customers on the fly! If you were a shoe, which shoe would you be? Yes, they actually ask this at DSW interviews! It’s a common question. It is very similar to the age-old interview question, “If you were an animal, which would you be?” Managers who ask this question are trying to see which animal you identify with: a hard-working ant, an intelligent ape, an unstoppable elephant with leader qualities, etc. The question becomes, what do the different types of shoes mean to the DSW manager? If you say you would be a work boot, perhaps they will think you a better fit in inventory or stocking rather than the store’s front counter. Appearances matter. Think it through and let your answer be guided by the qualities you think are your best. Here is another very common but very important interview question. If your DSW interviewer asks this question, it’s a great opportunity to talk about your problem-solving skills and your understanding of customer satisfaction and hospitality, particularly if you’ve worked in a high-volume retail environment like DSW before. Talk about how important the customer’s happiness is, and how you can or have in the past corrected the situation. If you are interviewing for a managerial position, be sure to have a scripted answer ready so you hit upon all your key points about your experience in high volume stores and management, your knowledge of customer service, and how to work with large groups of staff and encourage collaboration and teamwork. If you’re interested in an entry-level sales position, it’s good to talk a lot about your people skills, your quick thinking, your hustle when on the job, and your ability to problem-solve and manage your time. All of these relate directly to customer service in any field. You can also talk about your personal love of shoes! This is an element of your personality you can slip into any interview answer. It shows your passion for the company and what they produce.